Underground, gifted Carp Angler, Terry Dempsey will be a name synonymous with big Carp. It was only natural that when Terry did want to shed the light on his amazing catching ability, that he would approach iAngler to help him out. Terry Dempsey has put pen to paper on his illustrious fishing career, where he and his talented close band of friends have torn difficult waters apart up and down the country for decades. 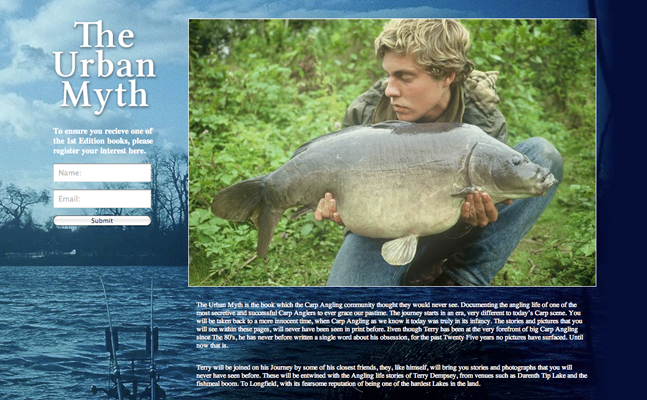 The book will contain pictures of captures anglers can only dream off, who for Terry, is just second nature. “The Urban Myth”, as the book will be called, is in such a demand that Terry needed to be able to log the orders so that when the book is printed, the books can go out to those that expressed interest from the start. It will more than likely be sold out in litte time at all, such its popularity.